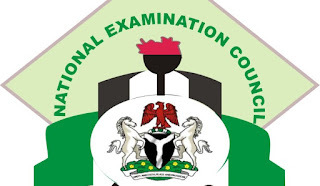 National Examination Council, [NECO] November/December General Certificate Examination (GCE) Results Statistics for 2018/2019 Academic Session | 62.48% Scored Five Credits (C's) and Above In English and Mathematics. Following the announcement of the released results for the 2018 NECO Nov/Dec External Examination, the National Examination Council (NECO), has released the results statics. According to the NECO Acting Registrar of NECO, Abubakar Gana, in a statement on Friday, said the council has released the 2018 November/December Senior School Certificate Examination ,SSCE, with 62.48% of the candidates scoring at least five credits and above in both English Language and Mathematics. SEE ALSO: NECO June/July (SSCE) Results Statistics - 2018 | 71.48% Pass Recorded. Candidates can now check their results online via the outlined guidelines: NECO GCE (Nov/Dec) Result Checker 2018/2019 [PHOTOS].